These slow roasted Tomatoes Provençal are a wonderfully delicious way to enjoy the full ripe flavor and natural sweetness. I do this to use up any extra tomatoes we don’t get around to eating fresh. One week both Robert and I brought home an arm load of fantastic heirloom tomatoes from the local farmers market. Being February when we bought them, I knew they weren’t local but they sure looked and tasted great. Roasting Cornish Hens for dinner one evening, I decided to also roast some tomatoes. Slice the tomato in half. Slice it across the middle, rather than top to bottom, to expose all the seed pockets. Gently press out the seeds, catching them in a wire mesh strainer. Place the cut and seeded tomatoes in the strainer, cut side down. Allow them to drain for about an hour or so. Reserve any juice and press out any additional juice from the seeds. Set this aside for later. Use a shallow baking dish. Place the tomatoes cut side up into the dish. Don’t crowd them as we want them to roast and concentrate all around. If they are crowded together, only the outside edge will get thoroughly roasted. 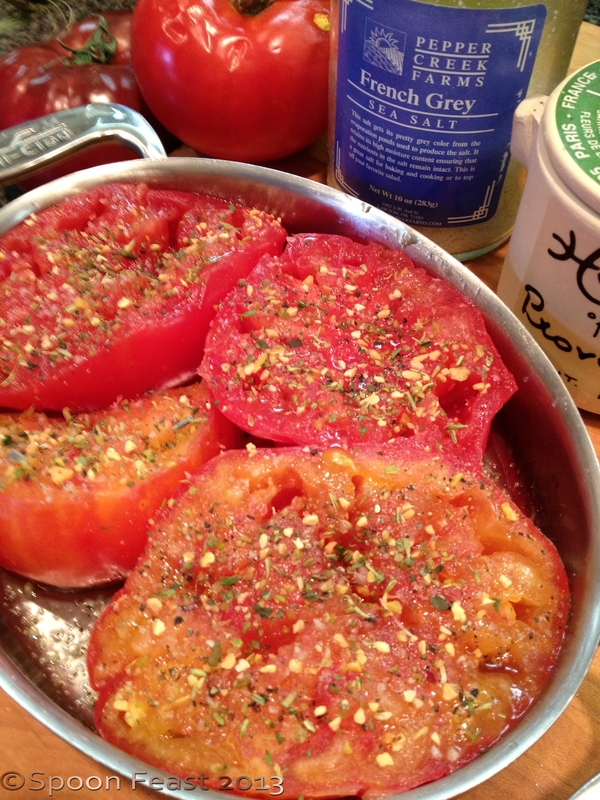 Sprinkle salt, pepper, herbs and sugar is using over the tops of the tomatoes. If you like, you can also add garlic, I chose to leave it out this time. Drizzle a light bit of olive oil over the tomatoes and roast them, uncovered, in a 350°F oven for at least an hour and one-half. 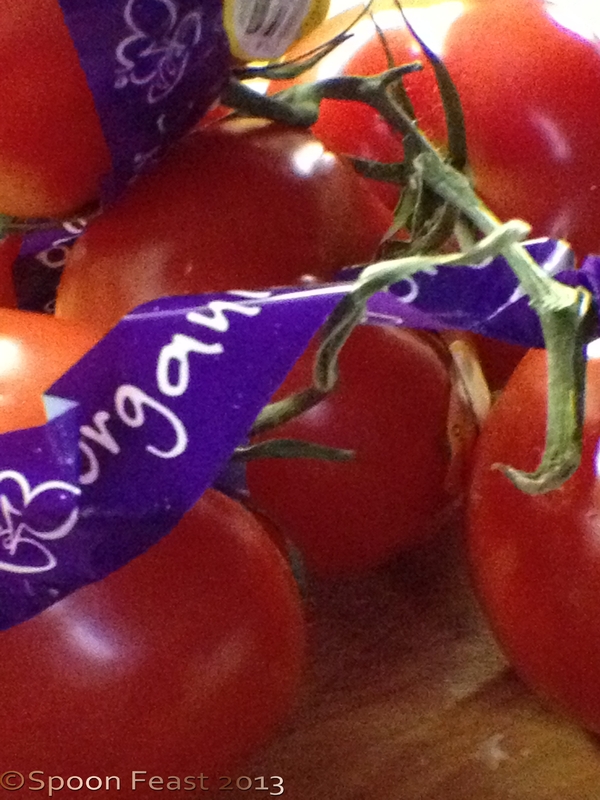 Keep an eye on them as you do not want a dried up leathery tomato (good sometimes, not here). When the tomatoes are done roasting, allow them to cool before serving. Their full flavor potential is best at room temperature or slightly above. 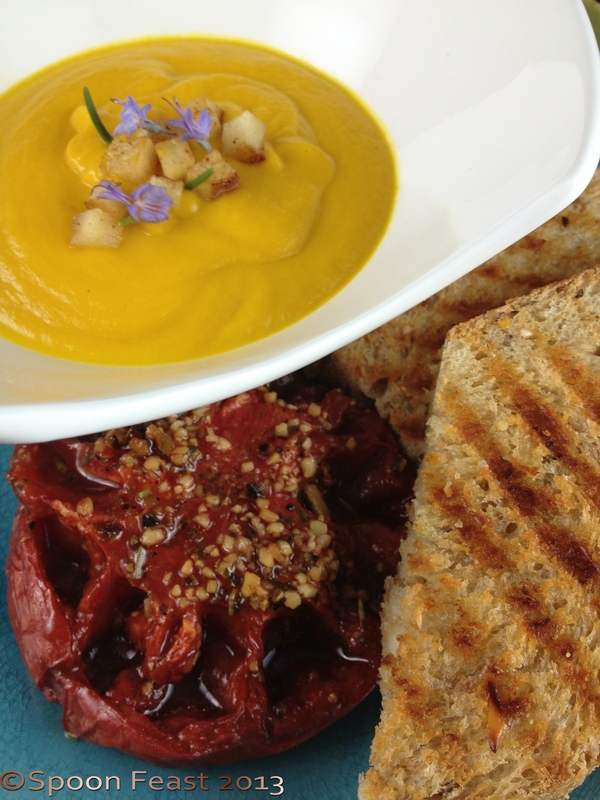 Here we served them along side of grilled cheese sandwiches and butternut squash soup. Be prepared! They will go so fast so be sure to roast more than you need. If, by chance, you have any left over, you can make great roasted tomato marinade or roasted tomato vinaigrette or even roasted tomato soup.This afternoon, I am putting some on grilled cheese sandwiches for lunch. YUM! Typically though, you have to roast the tomatoes specifically for these dishes as there never seems to be any left over. This entry was posted in basic skills, Cooking, Recipes and tagged Cheese sandwich, roasted tomatoes, Roasting, Tomato, tomatoes provencal. Bookmark the permalink. These look wonderful. With fresh baked bread and some cheese I would be a very happy camper. They are perfect for spreading onto bread and cheese! This makes me quite happy too. Thanks! It slathers well and is so delicious! Yummmm! It is great to have these with your breakfast or anytime actually. I find whenever I make them, they always disappear so fast. Roasted tomatoes are so sweet and delicious!